Since 1896, the Marenco family has been a small producer with the ability to translate enology and terroir for generations. Giuseppe Marenco brought a modern approach to Marenco's winemaking in the 1950s, expanding their efforts from grape cultivation and sale to the complete production of wines that reflected the territory of the Monferrato hills. Giuseppe also slowly bought other key properties in the Strevi hills to complement his father's original holding, La Marchesa vineyard in the Bagnario Valley. Today, the Marenco family presides over 160 acres of vineyards, carrying on the proud tradition of crafting quality wines that showcase the area's microclimates. Giuseppe's three daughters have taken over his dream, overseeing all aspects of Marenco, from the cultivation in the vineyards, to wine production, to the marketing of these distinct wines in markets around the world. Michela with her husband Giovanni Costa, Doretta and Patrizia, the enologist, collaborate with specialized agronomists in order to maintain the traditional growing systems of the vineyards, to respect the strict cultivation guidelines of the region and to optimize the quality of the grapes through tailored field techniques. The grapes are exclusively harvested by hand in order to select the best grapes and to preserve the best characteristics of each varietal. 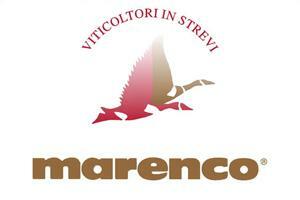 Marenco has invested heavily in a modern winery. Cutting edge equipment allows Patrizia to better control the entire winemaking process, from the delicate soft pressing of grapes, to temperature-controlled fermentation, to the use of barriques to refine the wines. All these efforts result in a high-quality line of wines that represents the best of Piemonte's sparkling wine tradition. Wine Enthusiast 89“Ripe and savory, this frothy dessert wine boasts heady aromas of yellow stone fruit, citrus zest, aromatic herb and a whiff of honey. The rich palate doles out ripe apricot, yellow peach and candied lemon drop alongside an elegant, soft mousse.”~K.O. Wine Spectator 88"Hints of mango purée and mandarin orange ride the creamy bead in this zesty, balanced Moscato, with hints of grated ginger, spice, and candied almond lingering on the tangy nish. Drink now. 9,166 cases made.”~A.N. Wine & Spirits 91“Clean and bright, this light, sparkling red is re-freshingly brisk. The flavors touch on wild strawberries, tart cherries and blood oranges. Delicious with prosciutto.”~J.G. "Straw and gold in color, with an aromatic and fragrant nose. Perfect with biscotti or a bowl fresh berries. The sweet, peachy, flavors of the wine lend an exotic edge to the fruit. Great as a desert wine, even as an appetizer or with brunch." ~ Winery notes.